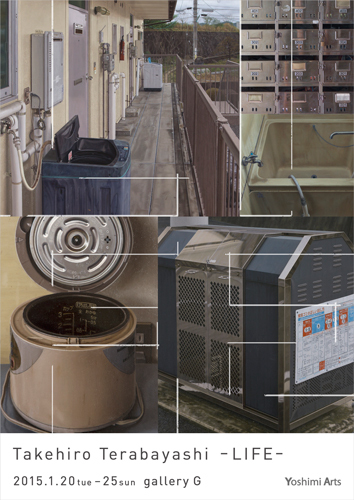 Yoshimi Arts is pleased to announce the exhibition "LIFE" by Takehiro Terabayashi at gallery G in Hiroshima, thanks to Hisana Yamashita, curator of Hiroshima Prefectral Art Museum. 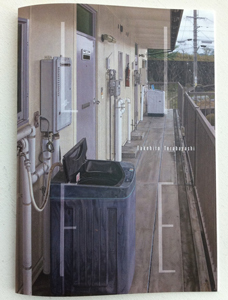 In the 2011, 2013, and 2014 "LIFE" exhibitions at Yoshimi Arts and Art Fair Tokyo, Takehiro Terabayashi created photorealistic oil paintings of the familiar objects and surroundings in his old apartment in Hiroshima. Please contact us by email if you'd like this book.